How do leaders handle job stress? 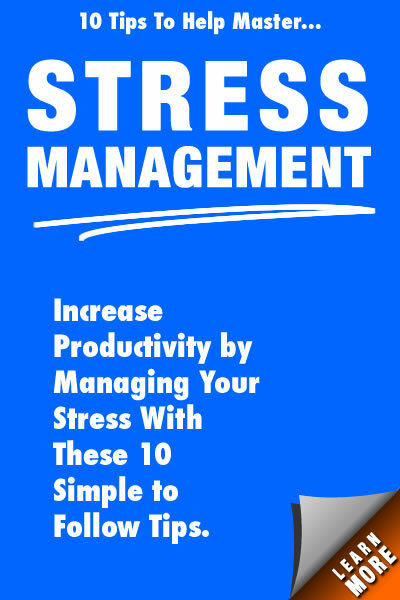 Job stress for leaders is a combination of factors that develop from trying to meet business goals, handle personnel issues, and develop effective strategies with your stress management at work. Undue stress hampers decision-making effectiveness, decreases personal productivity, and blocks creativity. What are effective strategies to lower a leader's job stress in today’s volatile business world? Establishing a management system based on setting SMART goals is a productive strategy that can lower job stress for leaders. With a clear roadmap, you will have less stress from the unknown. Your business obstacles will not seem like threats because by establishing goals you can anticipate any threats to the success of your organization and plan how your workforce will handle them. When you manage your organization with well established goals you will find that making business choices will also be more simplified because your goals serve as criteria. Creating a written action plan to achieve these goals provides a step-by-step process for attaining your business success. Ideas and values guide the decisions of leaders, while energy and commitment get them implemented. If you have taken the time to create well thought out goals and an effective action plan to move your company forward, take the same amount of time to communicate with your workforce. Become a good listener. Spend time observing the daily work situations to become familiar with your work culture. Your accessibility provides your workforce members with the confidence to be productive and share their perspectives about the jobs they are doing. They may have valuable recommendations for saving time and money; they may suggest improvements to the quality of the company’s provided service and product line. As a leader, learn to relate what you see and hear with your overall goals. Working in isolation increases the likelihood of job stress for leaders and will more than likely keep you out of touch. Developing a system for allowing your workforce to produce quality results in an efficient timeframe is essential for long term business success. This includes having clearly defined procedures that each function of your workforce understands, respects and follows. As the leader of your workforce, you supply the inspiration, direction and support for each person’s needs. 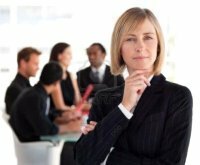 Effective leaders are positive role models who build confidence in their workforce and eliminate unnecessary stress at work. Once the organizational work systems are in place, let your workers perform their duties without your micro-managing, and trust in their ability to succeed. If there are problems that arise, by having an open line of communication and with built in worker trust, they can come to you and explain their current situation and together you can solve the issue. Without trust, the workforce will be leery of communicating honestly with you. Job stress for leaders and co-workers increases with poor communication and a lack of trust. 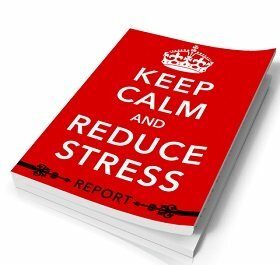 In a perfect world there would be little stress for leaders in the business arena. But in today’s world we know that leaders experience stress at an increasing level. Maintaining a realistic perspective of your role in your organization is essential in staying positive, avoiding job burnout and becoming disillusioned if things get challenging. One way to maintain a realistic perspective is to enjoy your personal life outside of work and not become all consumed by the workplace. Job stress for leaders may not go away, but you can keep it to a minimum.